The cement silo is a closed storage silo which is suitable for storing various materials such as grain, cement, and fly ash. The silo body is equipped with a material level system, which can display the position and quantity of the material, and the hole can be released by the device. The fruitfulness caused by too long. Powdered hydraulic inorganic gelling material. 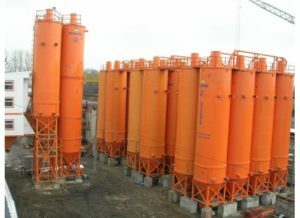 After adding water, it is slurried and can be hardened in air or hardened in water, and can firmly bind sand, stone and other materials together. Cement is an important building material. Mortar or concrete made of cement is strong and durable, and it is widely used in civil engineering, water conservancy, and national defense projects. The factory method includes the installation and bulk collectively referred to as the cement silo. Cement silo (cement pot) consists of: steel structure of the silo body, ladder, guardrail, feeding pipe, dust collector, pressure safety valve, level meter, discharge valve and so on. The cement silo (cement tank) is a cylindrical structure. The bottom of the silo is supported by four circular tube legs to support the entire silo body. The entire silo is in the form of a steel structure and welded. The top is equipped with a dust collector and a pressure relief valve. 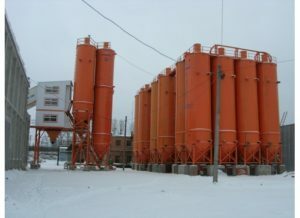 Cement silos are generally used in the storage of bulk cement in concrete mixing stations. Bulk cement silos are closed tanks for storage of bulk materials. They are suitable for storage of bulk materials such as grain, cement and fly ash. Tanks are filled with material. The system can display the position and amount of materials, and the hole-breaking device can relieve the solidity caused by the material deposition for too long. The use of a cement silo and auger pump enables the material to be transported to various locations. This tank is easy to install, and it is an ideal bulk storage tank for various mixing stations. 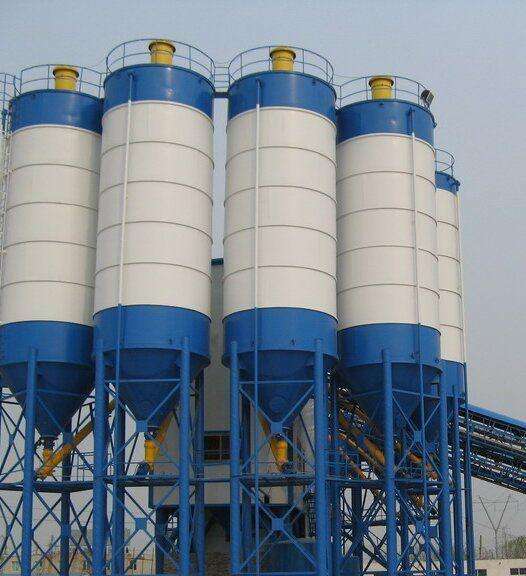 According to the type of bin top dust collector used by Cement silo, it mainly includes the following parts: 1. Filtration system: Check whether the internal dust bag of the dust collector needs to be replaced (if it is pressure differential control, look directly at the differential pressure table). Check cleaning system: According to the different types of dust collector, there are mechanical cleaning mechanism and pulse cleaning mechanism. 3. Power system: Check whether the induced draft fan is operating normally, and the main fan’s daily maintenance (some of the top dust collectors do not have fan installed). 4. Local equipment: check the tightness of the equipment (to prevent air leakage). (1) The concrete screw bolt in the concrete silo in the concrete mixing station is poured into the foundation reserve pit. While adjusting the centerline of the cement silo and the centerline of the foundation, the upper four flanges are adjusted on the same level (measurement method: theodolite) Or diameter 8-10 transparent plastic hose plus color water measurement), that is, optional concrete pouring. The grade of concrete reserved for pit pouring should be one grade higher than the concrete used in the foundation. In winter construction, in order to shorten the construction period, the anti-freezing agent should be added to the concrete used. After the concrete is solidified for 5-7 days, the cement tank body can be installed. When the cement tank body is installed, the verticality of the cement tank body needs to be measured with a theodolite, and the verticality is one thousandth of the height. In order to shorten the construction period, it is also possible to use an embedded part instead of an anchor bolt to fix the cement silo or mixer in the infrastructure. (2) Installation of the mixing machine in the concrete mixing station: Raise the lower plane of the chassis of the mixer properly, and connect the legs with the host with a hinge. After the cement scale, water scale, and additive scale are installed, the crane can be lifted and measured. And adjust the host chassis, so that it is in the horizontal state, the centerline of each leg and the centerline coincide, the caster bolt can be cast in the reserved pit (or the base and the embedded parts of the welding). (3) Installation of other parts of the concrete mixing plant: After the main body and the cement warehouse in the concrete mixing plant are installed, screw conveyors can be installed. Before lifting, check the lubrication points for filling oil and grease, and carry out empty car operations. Test, found that the problem was solved in time, the installation of the batching machine part, according to the requirements of the foundation map in place, the small batching machine placed on a solid foundation pier plane can be large-scale batching machine required to cast anchor bolts, the installation of the mechanical parts After checking all the lubrication points of various equipments with lubricating oil or grease, it is possible to wire and conduct empty vehicle operation tests according to the requirements of the manual and electrical schematics. Cement silo preparatory work is the first step to use cement silo, only good foundation can guarantee following working smoothly carried out. Cement silo and concrete batching plant complement each other, it effectively improves the concrete production efficiency. 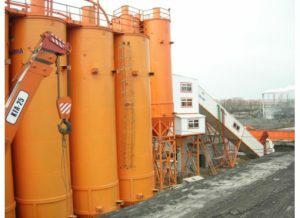 However, when users purchase the concrete batching plant, many person have ignored problems to build cement silo, resulted in the overall effect, caused benefit damage. 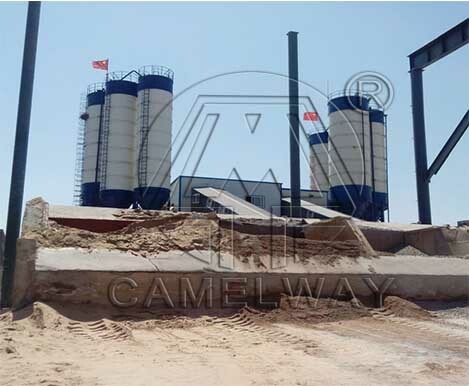 So CamelWay Machinery make detailed information about building cement warehouse for you. ① Pay attention to the distance between residential areas nearby, you can not have an impact on the lives of the residents. ② Avoid fiber optical cable, pay attention to security issues. ① Before the construction, do a strict foundation plan, in conjunction with the cement silo height, weight, leg height. The depth of foundation pit is not only to based on properties of cement silo itself, but also according to the combination of environment and natural climate. ② In the construction of the foundation, be sure to find professionals, strictly in accordance with the foundation plan. ⑥ Above these are all completed, then install the cement silo. Camelway Machinery Company has 32 years’ experiences in producing construction machines and has established complete systems for both new and regular customers. Welcome to contact with us if you want to buy concrete mixing machines or related equipment! How Many Mixer 570,000 ㎡ Construction Need ? Cement Dosage of Commercial Concrete Mixing Station?